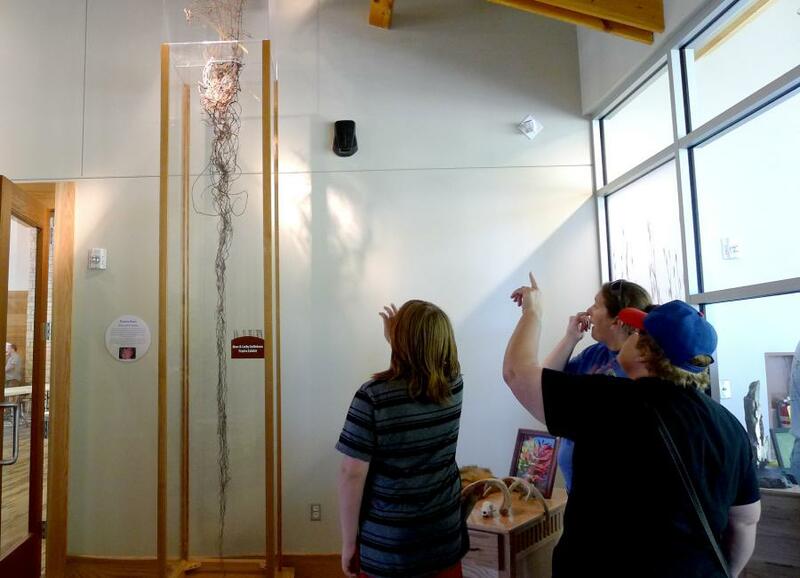 Classrooms, museums, nature centers and other educational venues across the Tallgrass Prairie region have expressed interest in displaying a prairie root for their educational programming. The cost to produce each root production and preservation can be prohibitive, however. If you would like to help sponsor a root display or banner, contact Laura.Jackson@uni.edu for more details. 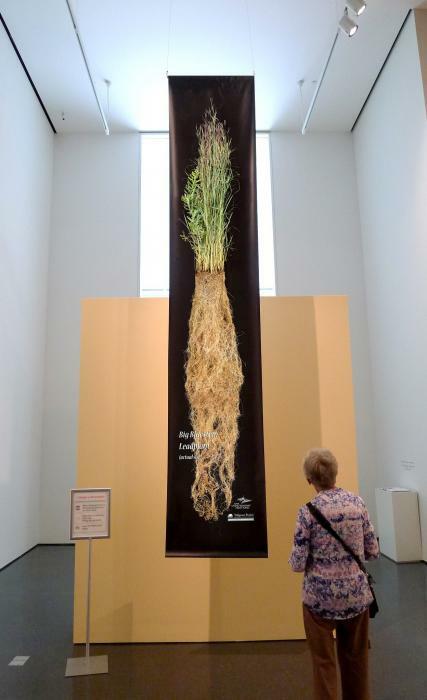 Root banners are a more affordable way to show the massive nature of prairie roots. 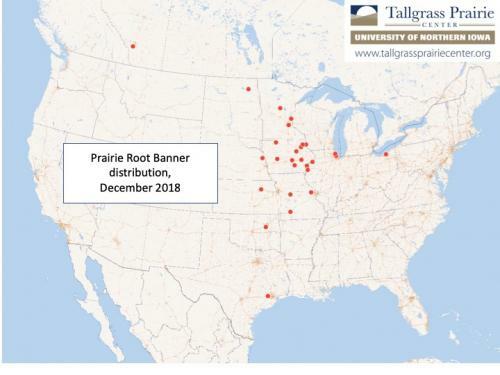 Map of root banners distributed in December 2018.